Welcome to the Cottage on Big Sand Lake! in Phelps near Eagle River, Wisconsin and Iron River and Watersmeet, Michigan in the Upper Penninsula. Nestled on the bay of Big Sand Lake is The Cottage on Big Sand Lake LLC. This affordable, two bedroom, fully furnished, four-season cottage is available for rent for you and your family to enjoy a relaxing getaway. Big Sand Lake in Phelps, Wisconsin is one the best fishing lakes in Vilas county. With 1,408 acres, it contains abundant amounts of walleye, musky, northern, bass, and panfish. You’ll enjoy catching fish from the pier! Big Sand Lake is also connected to Long Lake, another premier fishing lake. 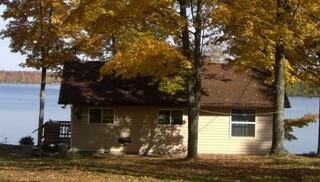 The Cottage on Big Sand Lake is located in the town of Phelps, Wisconsin. Only twenty minutes from Eagle River, Wisconsin which is the Snowmobile Capital of the World. The Cottage is also only twenty minutes from Iron River, Michigan; home to Ski-Brule. The Cottage on Big Sand Lake is also situated close to numerous other lakes, rivers, ski hills, cross country ski trails, snowmobile trails, 4-wheeler trails, restaurants and casinos. The Nicolet and Ottawa National Forests surround the area offering tens of thousands of acres to hunt deer, bear, turkey, and grouse. When considering your next up-north getaway, consider The Cottage your resting place.